Happy Mother’s Day to all the wonderful Moms, Mums, Ma, Me, Mama, Maman!!! 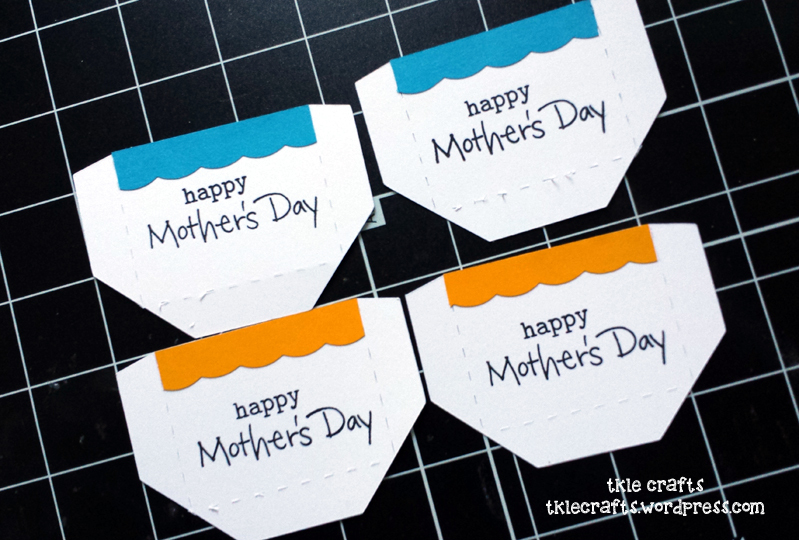 I was inspired by a pinterest of a kitchen aid mixer shape card! It was so adorable. I decided to scale mine back a bit and use this beautiful glitter paper pack I have been hoarding for years. 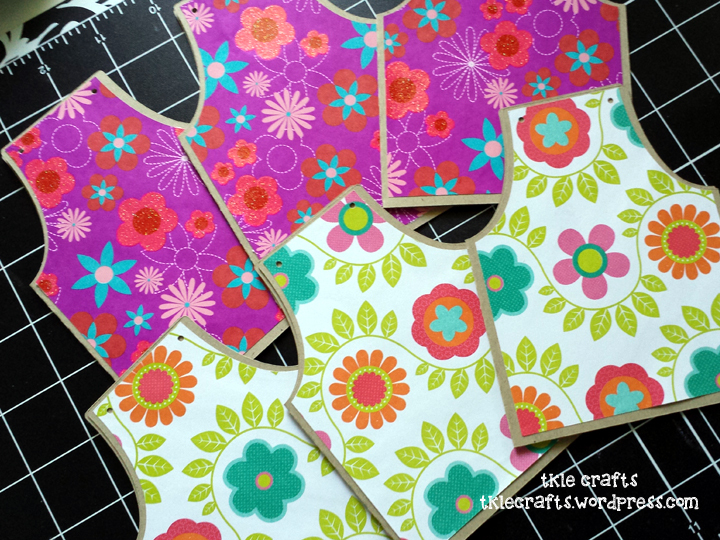 Most of the patterned paper is from Martha Stewart circa 2010. lol. Thank goodness no expiration date on patterned paper. 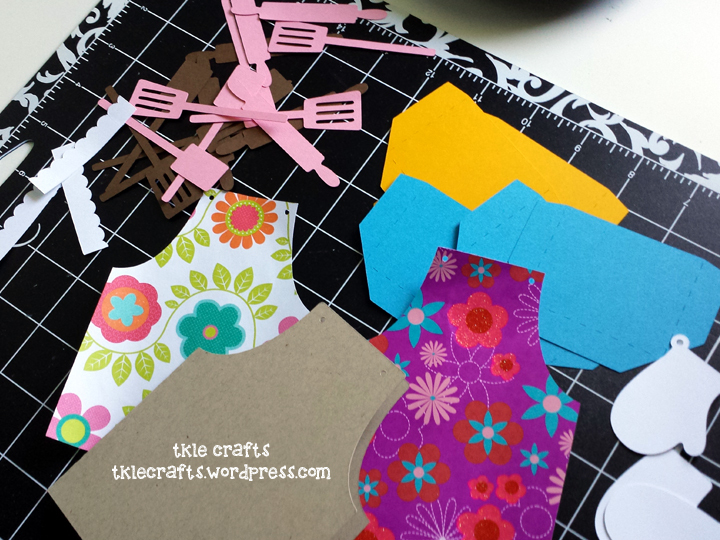 I love the background paper (which is from DCWV) but it is hard to see in photographs! For the final touches I added some spring flowers, butterflies, and bling to give it a little more dimension. I hope everyone has a wonderful Mother’s Day filled with love and happiness…!!! 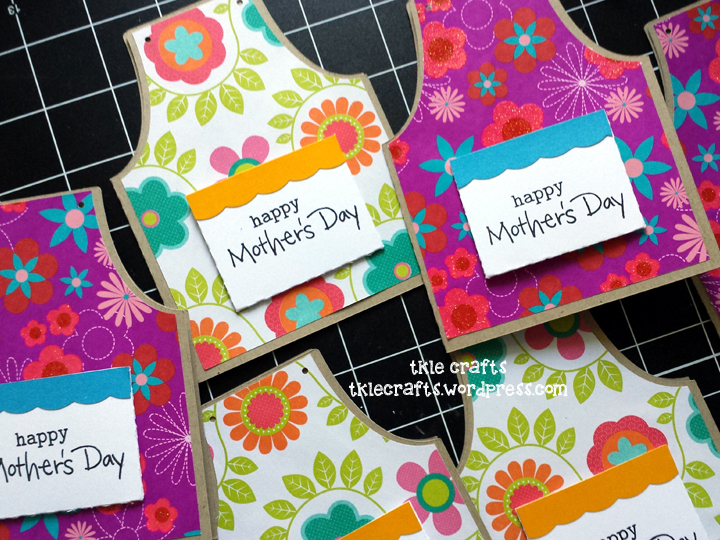 Aprons on for all Moms! Of course, it is craft baking! 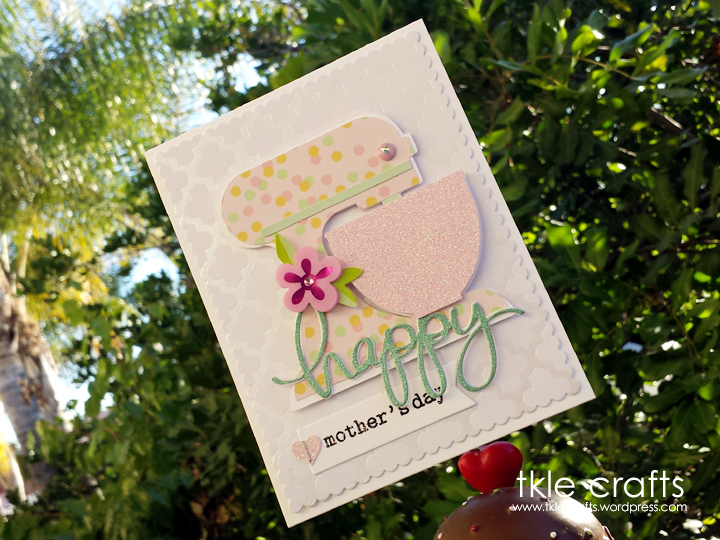 I absolutely adore all things made by Lori Whitlock – she is so talented and creative! To start, I printed out all of the pieces so it would make the assembly process easier. 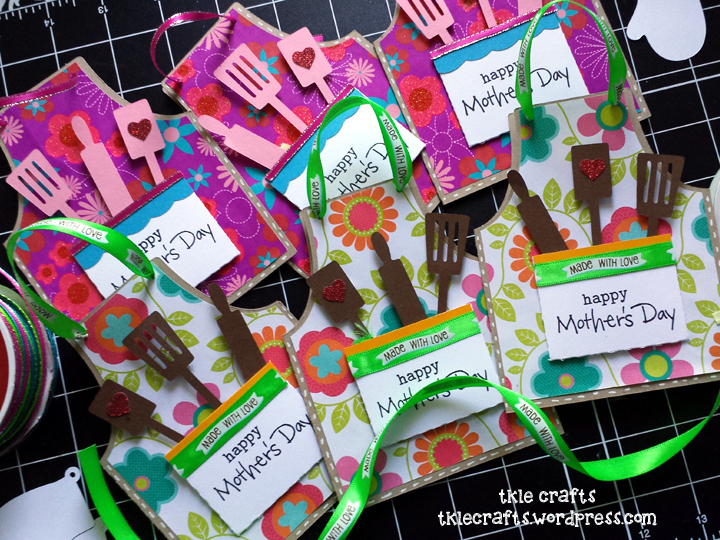 I used two types of patterned papers for the aprons which I thought would be great for Mother’s Day with all the fun floral patterns. 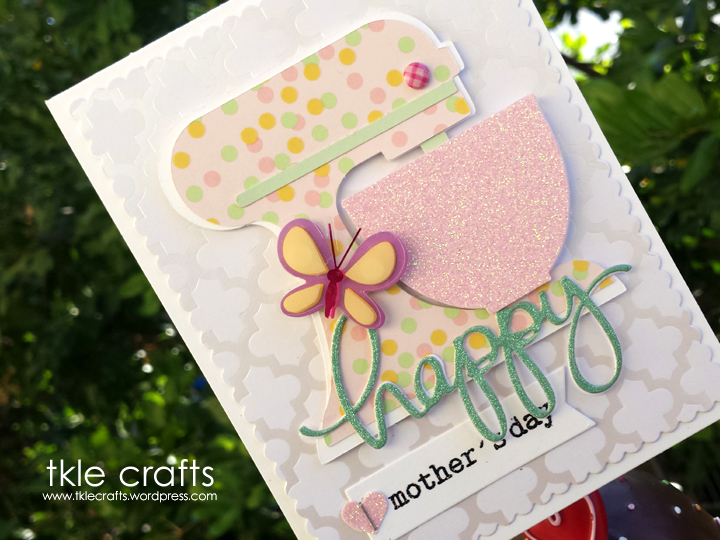 Originally, for the apron pockets I used colored card stock but it was really hard to see the Happy Mother’s Day sentiment. After a few tries, I changed the pockets to white so the sentiment would stand out. I attached the apron pockets to the apron and made sure to push it down very firmly so that the pocket would stay in place. 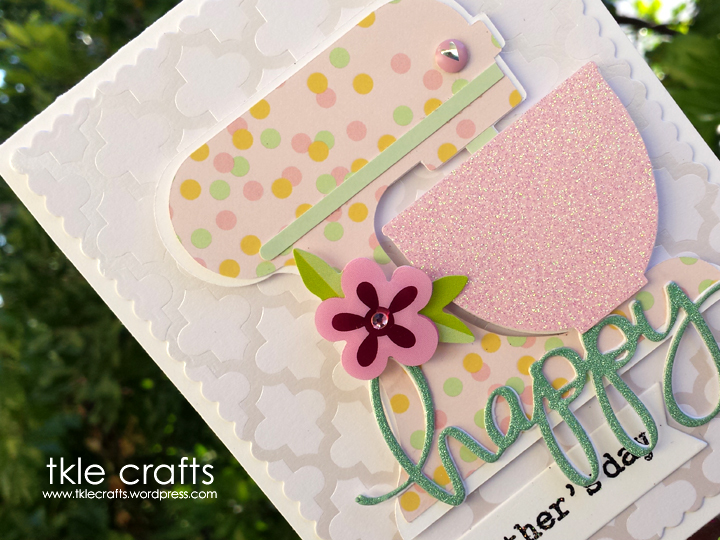 Like all great recipes, this card was made with lots of love! I can’t wait for Mother’s Day this year. 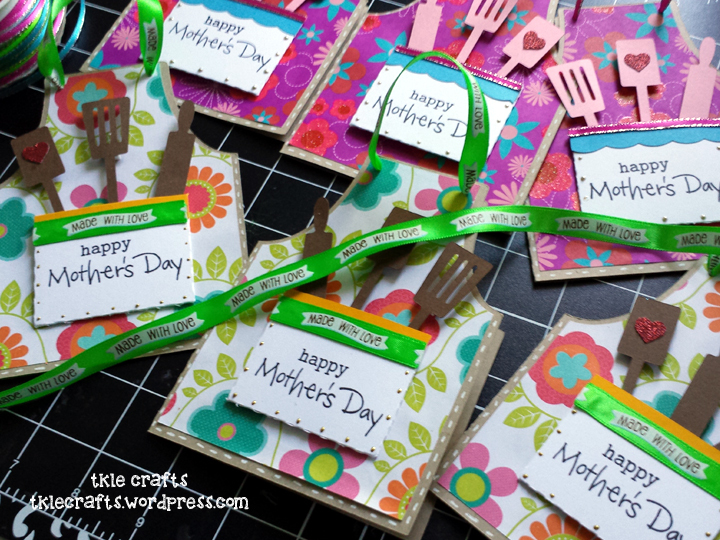 So excited to send these to all the wonderful mom’s in my life!